From the time you were born, your grandfather has been there to see you through all of your life events. On your granddad’s birthday, it is important to honor him with a few special words that let him know the huge impact he has made on your life. 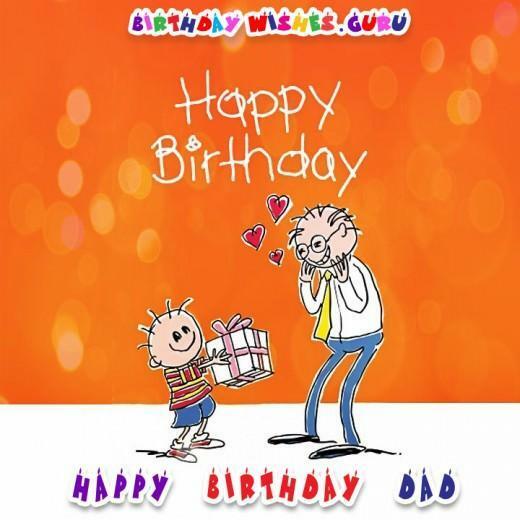 Whether you decide to make your happy birthday wishes sweet or funny, this day represents the perfect time to give him a visit or send him a handmade card that will light his face up with a smile. Throughout the years, your grandpa has taught you valuable lessons as he watched you grow up, so honor his legacy by sending the perfect sentiment on his special day. 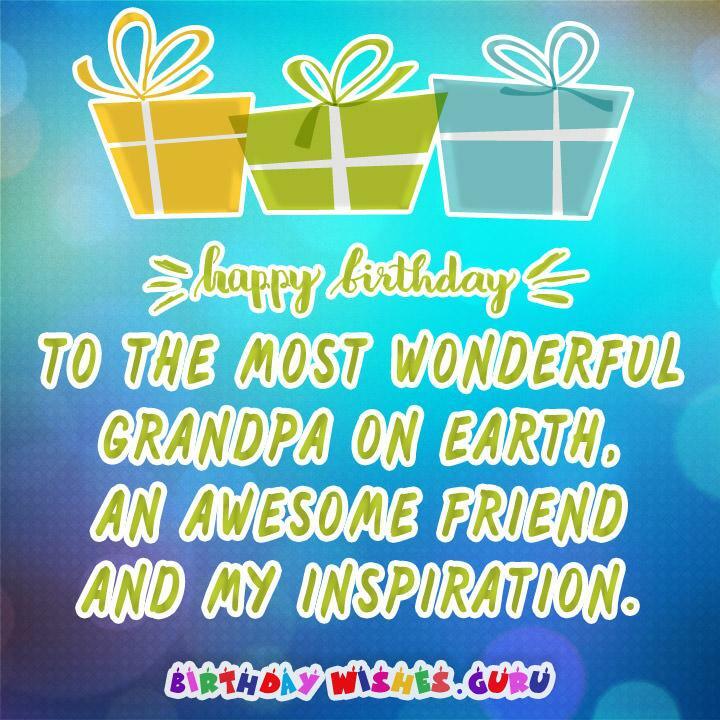 Happy birthday to the most wonderful grandpa on earth, an awesome friend and my inspiration. Today you turn another year older, but you are just like a best friend to me. Happy birthday, and I can’t wait to see you later to celebrate this special occasion. From patching up my skinned knee to giving me dating advice as a teen, you have always been there for me. Thanks for being the best granddad in the world. So many people may be grandfathers, but I’m convinced you are truly the best. Enjoy your special day! What was that? Did I hear it’s your birthday? Three cheers for celebrating another fun year! Don’t worry about getting older. Just view your birthday like a classic car. Your value just keeps going up with every year. Make sure to enjoy this day for all it is worth! What do you get for the best grandfather in the world on their birthday? A grandchild just like me. You truly are a lucky man! 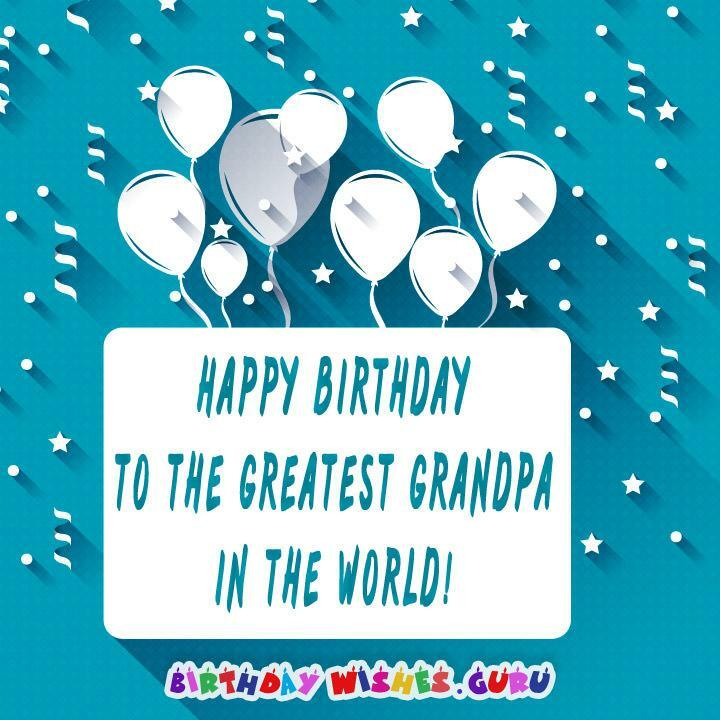 To the man who put the “grand” in granddad, I hope you have a wonderful birthday! You spoiled me rotten, and now it’s my turn to spoil you. 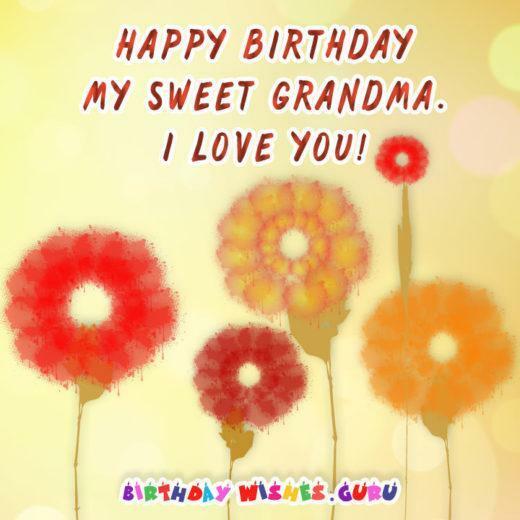 I’m looking forward to giving you your special birthday surprise! Grandpa, you taught me how to fish, build a birdhouse and cook on a grill. Thank you for these amazing experiences. You taught me to ride a bike, and that’s one lesson I never forgot. There’s so many more, I could fill this card. You truly have been the best granddad in the world. If I were the judge, you would truly be the World’s Greatest Grandfather! Now, go out and rock your day like you were turning 21! I have you to thank for passing down your intelligence, wit and handsome looks. You are truly the best, and if you ever doubt it, just look at me. You’ll be convinced. 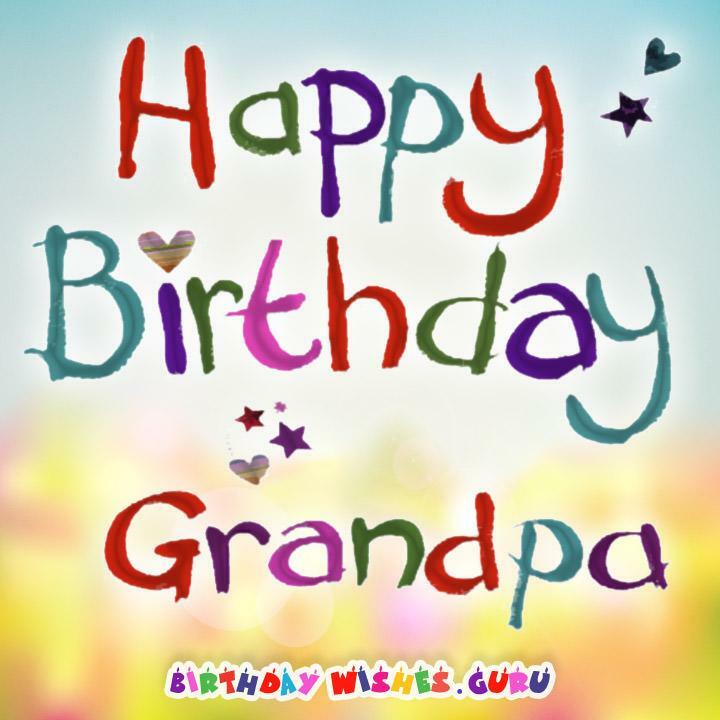 This year, I want to give you the best birthday a grandfather could have. How does a steak, homemade cake and ice cream sound? You taught me how to make all of those things. It’s funny how time flies. It seems like only yesterday I was sitting on your knee. Today, I think of you every time I use the knowledge you passed down to me. As everyone sings happy birthday this year, know you are surrounded by a family full of love. When faced with a big decision, I always ask, what my grandpa would do. That’s why I made this special card for you. Happy birthday! The whole family is so excited that we just can’t stop smiling. Getting to share this day with you is over the top when it comes to exciting experiences. Throughout my life you have taught me to be kind. That’s why I only brought one candle for the cake! May all your wishes come true this year. Today we celebrate you turning one more year older. You might be over the hill, but I bet you can still outrun me up one. Keep showing us how to maintain that youthful strength and smile. For my grandpa’s birthday, I just want to say you are as handsome as ever. I know, because I look just like you. Growing up, you helped keep me out of a lot of trouble. I owe you one for getting me out of that last grounding. Let’s go stir up some birthday shenanigans! You have wished me happy birthday so many times over the years. I’m glad to finally have the chance to do it for you. Let’s make this your favorite birthday ever. It’s never easy to figure out what to say to someone who is like a second father to me so I’ll keep it simple. Thank you for everything, and enjoy your birthday. These days, I’ve been doing a lot of reading, and even the latest bestseller doesn’t hold a candle to the amazing life you have lived. I’m learning from you every day. I hope you get some fancy gadget this year so I can come over and show you how to use it. You taught me so much. I love returning the favor. Birthday Wishes Guru © 2019. All Rights Reserved.